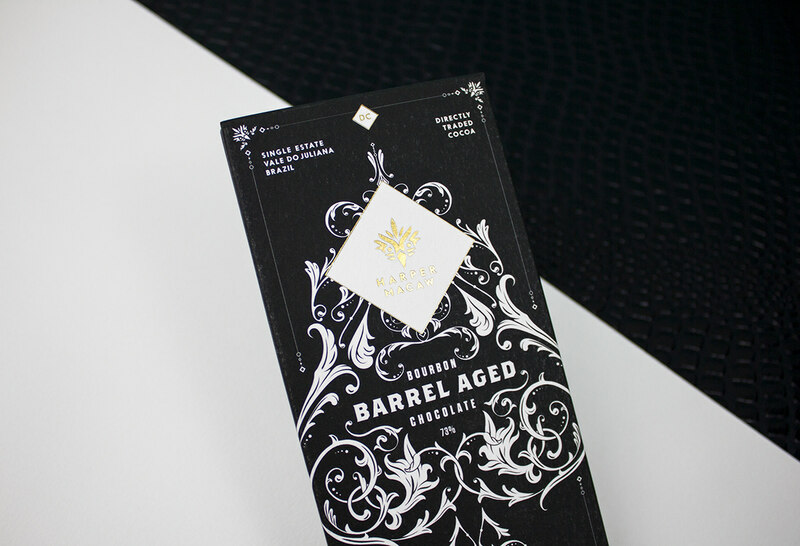 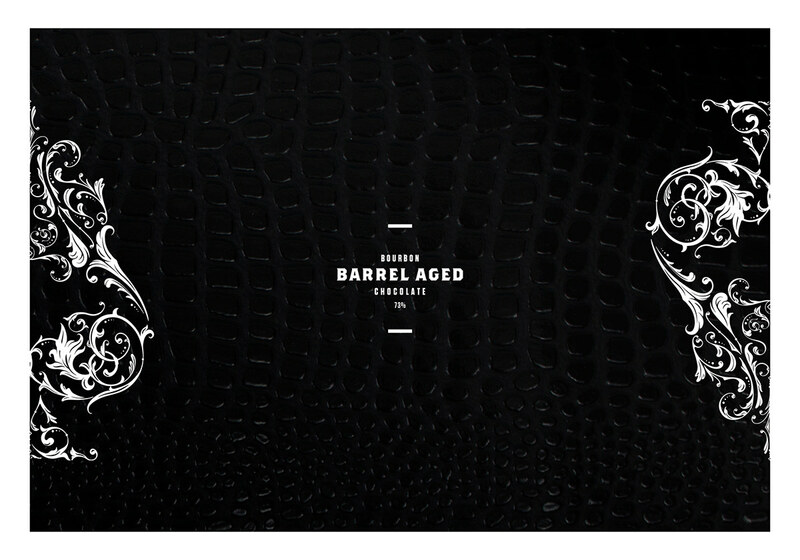 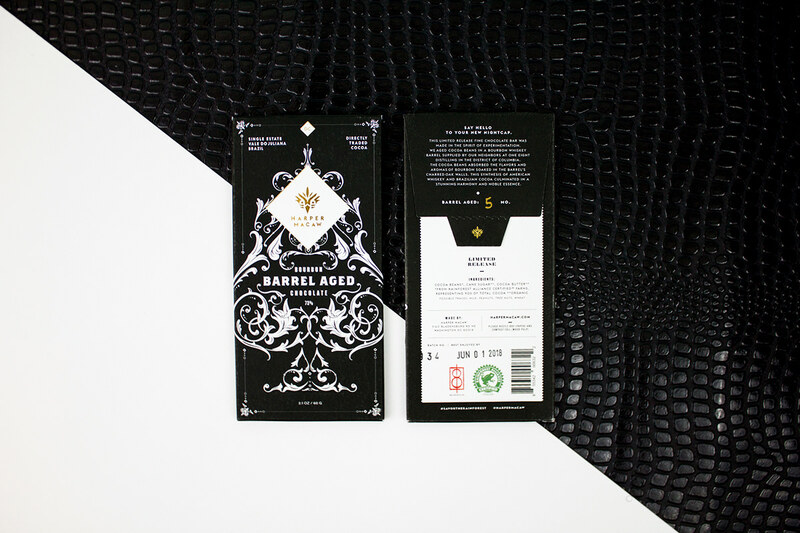 This limited-run, Bourbon Barrel Aged dark chocolate bar was created for Harper Macaw, a DC based chocolatier. 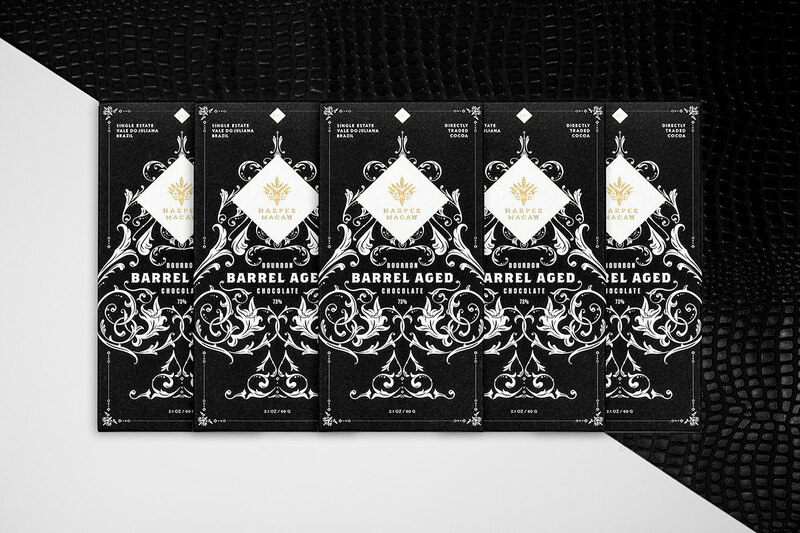 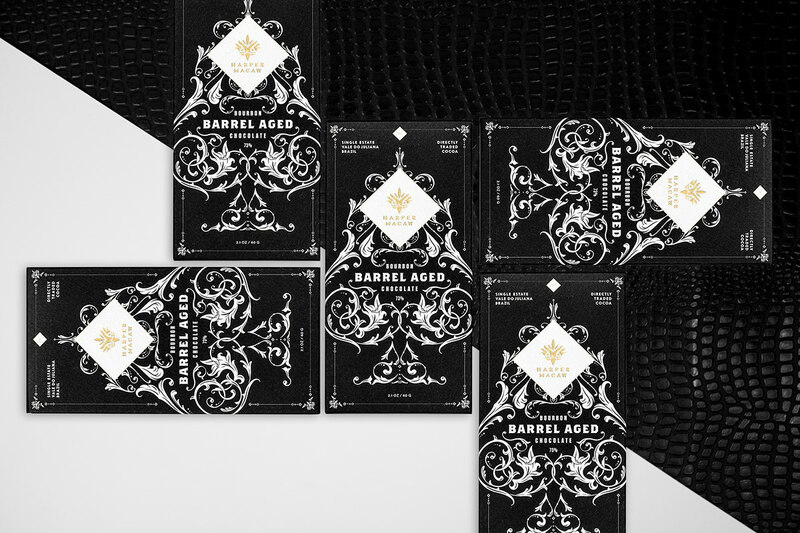 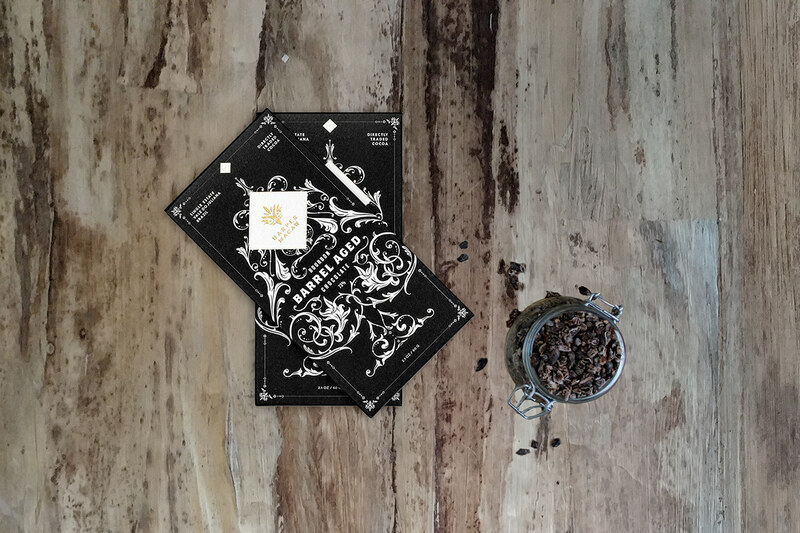 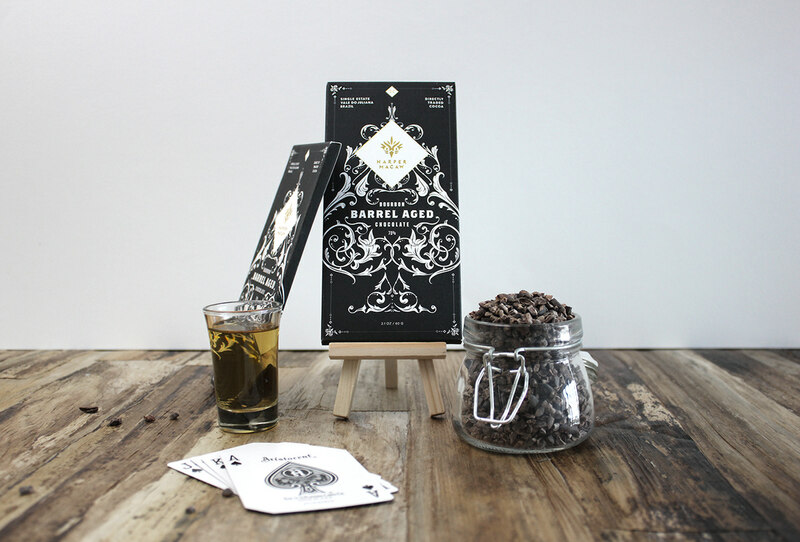 The design was conceptualized to be masculine yet luxurious, based on the Ace of Spades - arguably the most prized card in a deck. 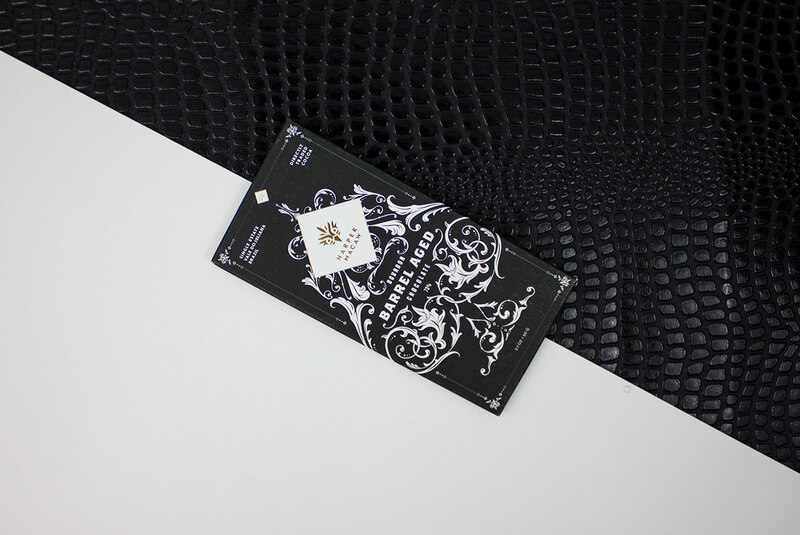 The design positions this seasonal bar as a treasured and highly favorable object, one that comes rarely but packs a punch when it appears.